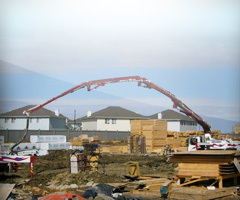 Alberta Concrete Pumping Ltd. welcomes you to this website for the latest information about our concrete pumping services in the great Edmonton. 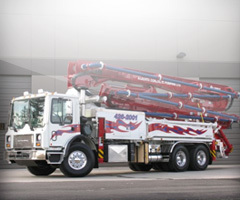 It is Alberta Concrete Pumping Ltd. objective to use the Internet as a resource for our customers and to provide information and tools to communicate with us and make use of this technology to using our pumping and other services easier. 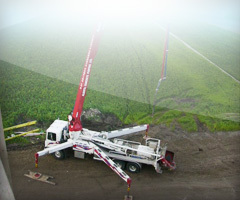 Alberta Concrete Pumping Ltd. is one of the fast growing Firms in Edmonton and area equipped with concrete pumps, where the pump boom can reach from 20 meters up to 55 meters. 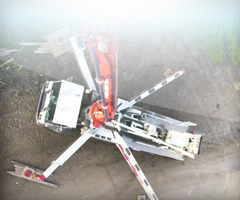 Alberta Concrete Pumping Ltd. is a member of the Edmonton Chamber of Commerce, Alberta Construction Association and Alberta Construction Safety Association of Central and northern Alberta and American Concrete Pumping Association. 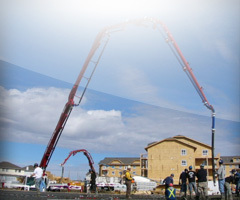 Alberta Concrete Pumping ltd. was founded by Paul Jhattu in 2003 to answer the ever increasing needs and demands for concrete pumping services by its clientele in the Edmonton area. 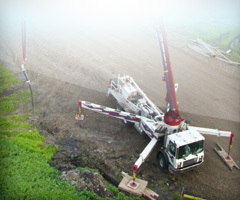 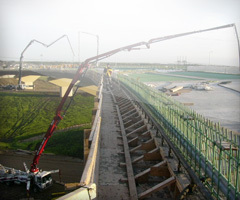 Alberta Concrete Pumping Ltd. office is located in Edmonton, Alberta; and we are one of concrete pumping firms in the province engaged in the business of operating concrete pumping services for builders and developers of commercial, highway and industrial and residential construction projects. 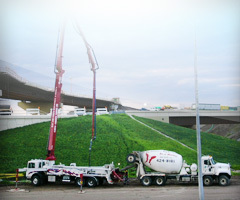 Alberta Concrete Pumping Ltd. relentlessly modernizing - Our employees and equipment in use at concrete pumping projects on minor and/or major construction sites throughout Edmonton and area. 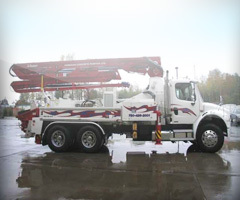 We are continuously renewing our equipment, and maintain an average fleet age to the level to meet our clienteles satisfaction and a job well done.